In 1997, Los Angeles native Timothy Corrigan left a successful career in advertising to realise his lifelong dream of opening an interior design firm in his hometown. Two decades after what may seem an unlikely switch, Corrigan is one of his trade’s most in-demand names, with a second office in Paris and clients scattered all over the world. 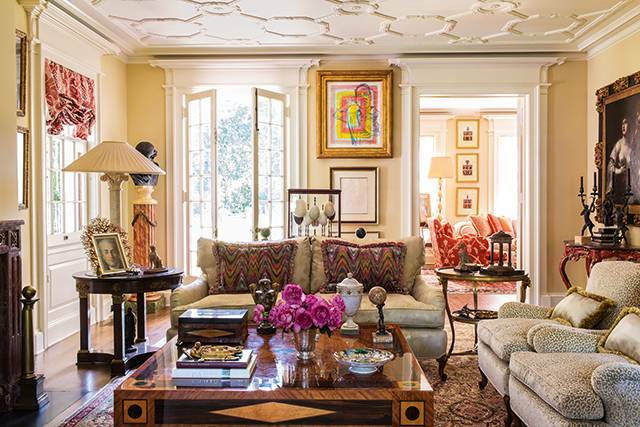 His sunny California energy does not conceal a serious, French-style decorating ardour. As he weaves together disparate design elements, artworks and antique pieces, Corrigan always ensures the result looks elegant and remains comfortable. 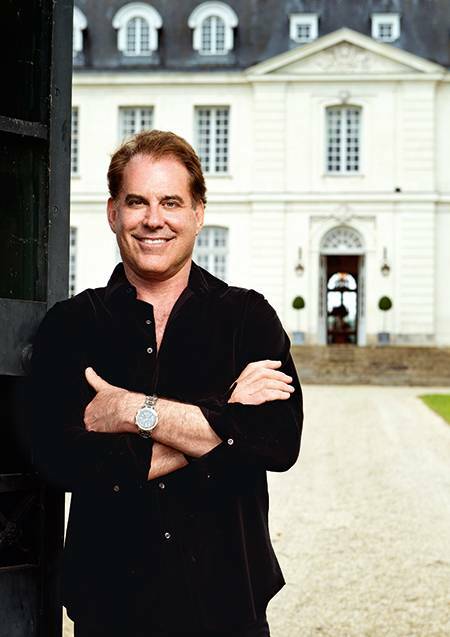 While he has worked on a range of projects including Madonna’s 1920s Wallace Neff-designed home in Beverly Hills and residences for European, Persian Gulf and Hollywood royalty, the one closest to his heart is the 1764 Chateau du Grand-Lucé in France’s Loire Valley, which he acquired in 2004. 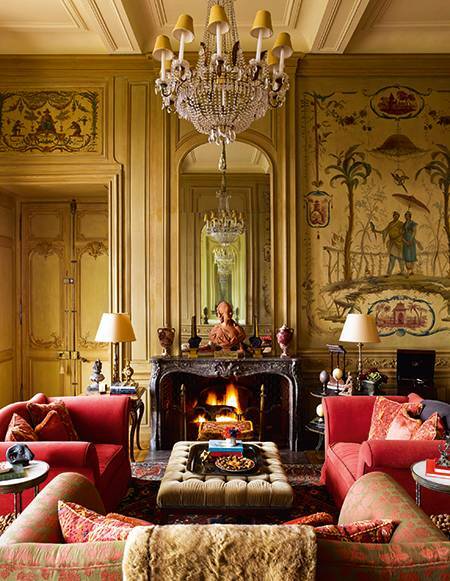 Its painstaking restoration and rebirth under Corrigan’s exacting direction were documented in his 2013 book, An Invitation to Chateau du Grand-Lucé (Rizzoli). Brook S Mason sat down with the designer to talk about his work, his chateau and the museum shows he is looking forward to this summer. For me, it’s about the magic of the mix while accentuating the architecture. I very consciously try to mix periods, textures, scale and quality, with pieces from many eras and parts of the world. 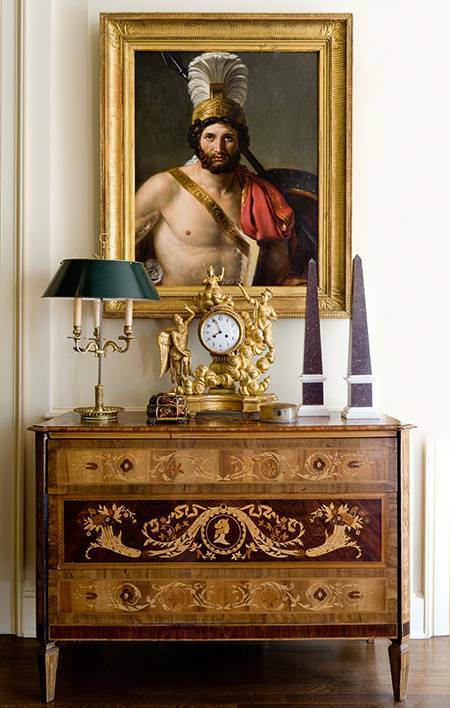 In an interior we completed recently, there are French neoclassical commodes alongside a set of mid-century Robsjohn-Gibbings chairs and a lamp by Serge Roche. I also did a room with paintings by Monet, Frank Stella and Jasper Johns. In many cases, there is also a sense of grandeur – whether from a barrel-vaulted foyer ceiling or carved boiseries – but comfort is always key in all my endeavours. Can you talk about the experience of buying and restoring the Chateau du Grand-Lucé in France? Even though there was little heat and no electricity, it was a coup de foudre when I first saw that the very bones of the chateau, the boiseries and the wall paintings by Jean-Baptiste Pillement were unrivalled. I swiftly assembled a team of artisans, restorers and 18th-century painting conservators to return the chateau to its former glory, and then I restored a chapel and a theatre. We have worked on several Fifth Avenue apartments in New York and a splendid Georgian-style house in Greenwich, Connecticut. A slew of commissions in London and Paris, as well as for the royal families of Qatar and Kuwait, are also firmly in hand. Your staff must be enormous to cope with such activity. Not at all. I am personally closely involved in every commission. We keep a core team of ten to fourteen people in the Los Angeles office and several in Paris. How do you mentor clients of varied backgrounds about style? The underpinnings of style lie in the past, but not everyone can visit Versailles or a Venetian palazzo for inspiration at a moment’s notice. However, going to museums and auction houses, watching foreign films and reading history books are all great ways to learn. Can you tell us about recent purchases? Antiques can be affordable as well as good investments, especially when sourced at auction. Recently, I acquired an 18th-century Italian marble bust of Apollo and a pair of 19th-century Neapolitan consoles from Sotheby’s. What do you tell your clients not to miss this summer? If they’re heading to London, they should go to the Tate Modern and peruse the exhibition devoted to Turkish artist Fahrelnissa Zeid. As for Paris, Rodin is front and centre at the Grand Palais while David Hockney is celebrated at the Pompidou. In New York, of course, it’s Irving Penn at the Metropolitan Museum of Art and Robert Rauschenberg at the Museum of Modern Art.